House Party Helsinki: Back in bitness!! Sorry for not to write in a while. we have been busy with moving...You know how stressing it can be. However, enough of that cos now we´re safely back on track. 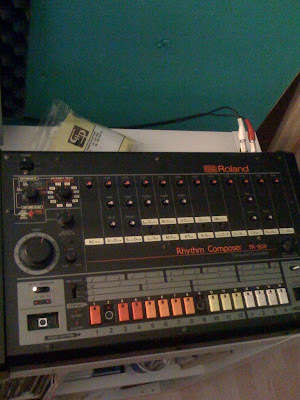 This is our latest peace of "gear" to join the House Party family;)...Roland TR-808 that is.